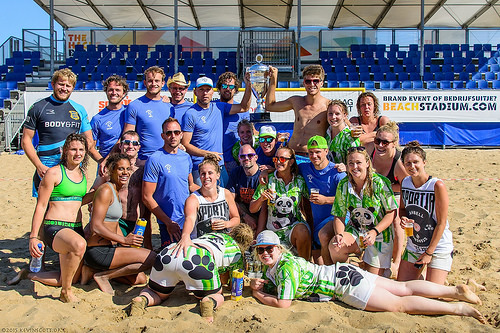 A number of Dutch team pound the sands on Scheveningen Beach in the third installment of this new tournament, held at Den Haag Beach Stadium. Photos by kevinscott.org of flickr. 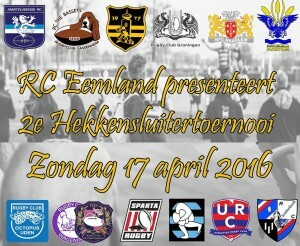 The Rotterdam cup 2012 was held at the new Sparta Rugby Club / Cricket Club, Bermweg 141, Capelle aan den Ijssel. Four of the local teams, Sparta RC, Rotterdam RC, Rotterdam Students RC and The Hookers, fought in temperatures well into the 30’s, after 5 hours The Hookers were declared the winners for 2012. 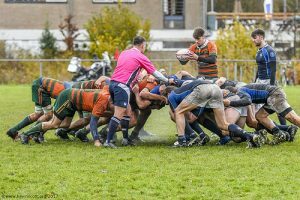 Prior to the Rotterdam Ladies “Ruck that Dress” match the Seniors took on the Old Boys for a showdown of skill and strength. 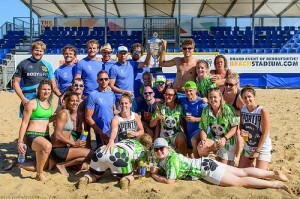 To celebrate the kick off of the Rotterdam LADIES team, these girls decided to play a match in full wedding gear. The guys they were playing also turned out to also be very dapper, well rugby is a game played by gentlemen, so were told. 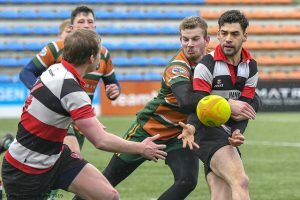 Conclusion: Wedding dresses should not be used for general rugby games. 3. A scrum can take forever while you try to find the correct position for your arms and head. Or see the special ‘White Wedding’ feature by Mirandalah on Youtube.